It has been more than 7 months since I released the first Website Monitor utility. Almost immediately after releasing the utility I had some ideas for improvement, but I wanted to wait until I received some feedback before working on a new version. Well, it's been long enough and I'm ready to release v1 with a few enhancements. The first enhancement is an OnErrorCheckEverySeconds setting. This setting controls how often a website will be checked once an error occurs. For example, I might want to check a website every 10 minutes, but if an error occurs I want to check every minute. The second enhancement is the ability to log each website check to a file. This enhancement was the most requested feature that I received. 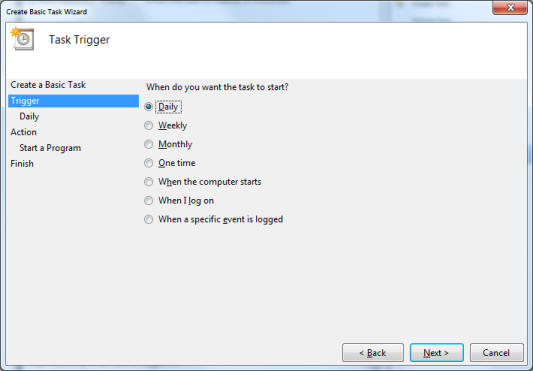 The logging feature is activated by entering a valid directory into the LogFolder setting. If the directory does not exist, the Website Monitor utility will try to create it. It goes without saying that the Website Monitor utility will need read, write, and delete rights to the directory. The third and final enhancement is related to the second. It is the ability to automatically purge the old log files. 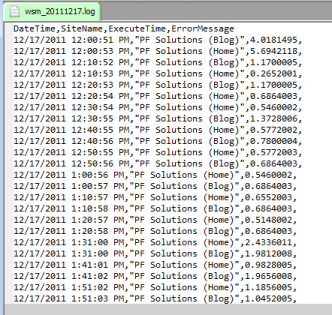 If you don't want the Website Monitor to delete the logs, simply set the PurgeLogsAfterDays setting to zero. If you would like a copy of this application, you can download the latest version from http://pfsolutions-mi.com/Product/WebsiteMonitor. 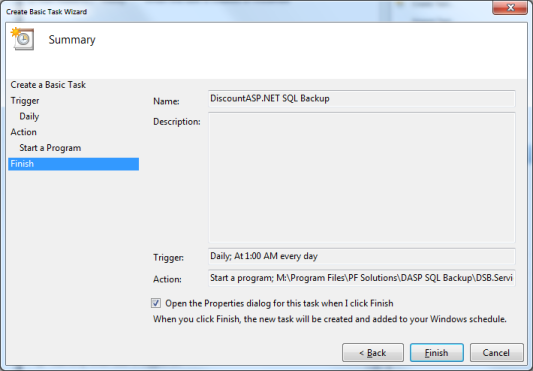 It has been more than 6 months since I released the DiscountASP.NET SQL Backup utility. In that time I have received some good feedback and zero problems (excluding installation issues). Based on this, I'm ready to release v1 with a minor enhancement. One of the most requested features I received was the ability to specify when the backup process is performed. 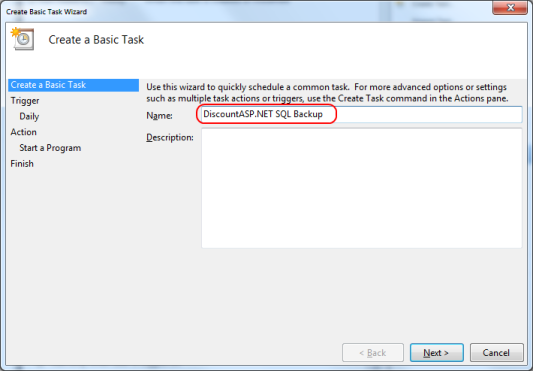 By default, the DiscountASP.NET SQL Backup utility performs the Microsoft SQL Database Backup process at 12:00AM every day. 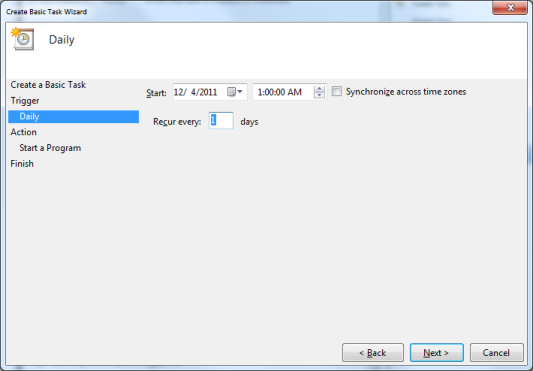 Rather than trying to create my own scheduling system I decided to take advantage of the system that is already included in Windows - Task Scheduler. 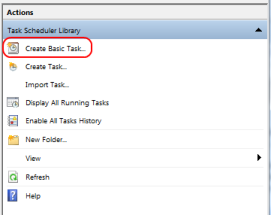 Step 1: From the Actions menu, select the Create Basic Task... menu option. Step 2: Name the task. Step 3: Select when you want the task to start. Step 4: Identify how often the task should be started. 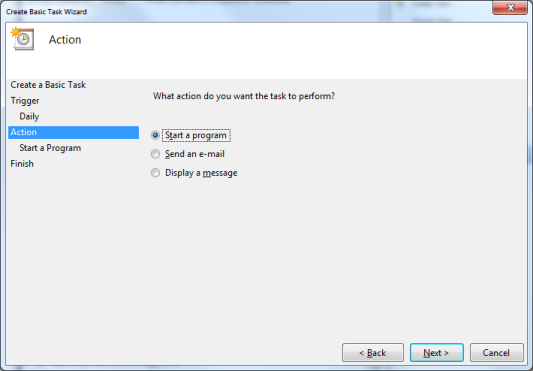 Step 5: Select what action you want the task to perform. Step 6: Enter the fullpath and filename of the DSB.Service.EXE file into the Program/script field. Be sure to include "-console" in the Add Arguments field. You will also need to include the fullpath in the Start in field. 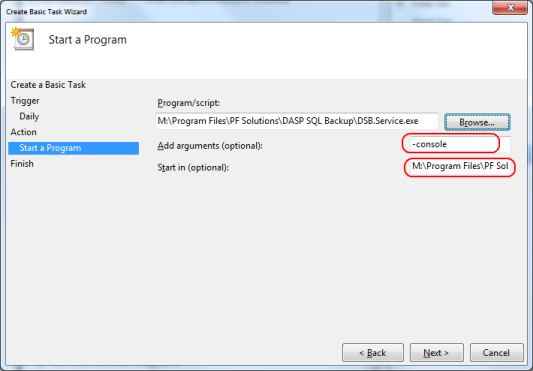 If you would like a copy of this application, you can download the latest version from http://pfsolutions-mi.com/Product/DASPSQLBackup.